Alif or The first letter of knowledge is yet another malayalam movie which has completed it is shooting. Directed by debutante N K Muhammed Koya, the movie features Kalabhavan Mani and Lena in lead. Nedumudi Venu, Joy Mathew, Kalabhavan Mani, Irshad, Zeenath, Nilambur Ayisha, other theater artists and mini screen artists will give life to prominent characters in the movie. Produced by M S Biju under the banner A Square Media, the story reveals three generations of Muslim women. 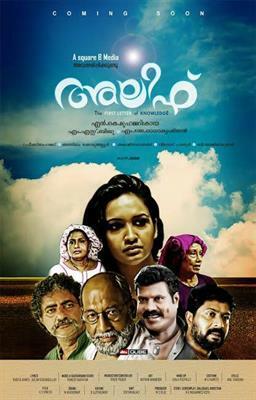 The story of the movie revolves around a character 'Fathima' and about her world. Fathima is a member of a family living in a remote village at Kannur. She lost her father when she was 13 years old. This made her having a feeling of loneliness or a type of depression, which leads to her giving up of education. Her hard work for the mere survival in the world is the main thread of this movie. During this time she felt the presence of her late father and through him she faces some life truth. Alif is a virtual presentation of this story. Lena will give life to Fathima, the lead character while Kalabhavan Mani too don an important character as a weaver. Veteran actor Nedumudi Venu is also doing a prominent role as Kunju Sahib. The movie says the story of three generations. Much interestingly, a social issue also is being discussed here. After the final cut, the movie is expected to reach theatres very soon. Even though a number of women oriented movies focusing on various issues have much talked, 'Alif' would stand different for its relevance. As muslim women faces various limitations surrounding their religion, their freedom is restricted and feelings are much understood. The cinematography of the movie is safe in the hands of M J Radhakrishnan. Ramesh Narayanan For the lines of Rafeeq Ahmad and Aslam Kodungalloor, the music is set by Ramesh Narayanan.